One thrilling way of enjoying top-notch luxury accommodations while getting to explore hidden corners of the country is the incredible Ultimate Travelling Camp. India’s first totally mobile hotel lets its guests take advantage of high-end amenities whilst traveling to India’s remote and wild sights. This is glamping at its most elaborate, and the nomadic facilities bring guests closer than ever to the country’s rivers and mountains, wildlife and retreats, and other incredible destinations. 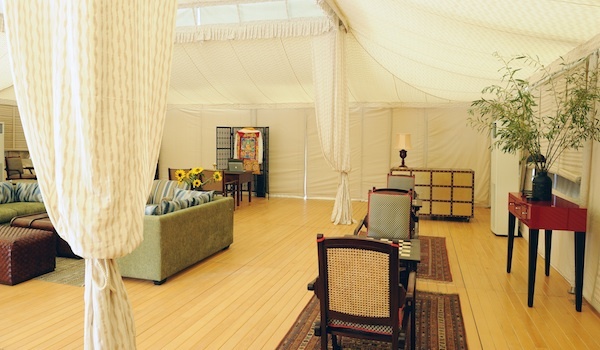 The Ultimate Travelling Camp currently operates three primary facilities. The first, the Kohima Camp in Nagaland, is set up in the hard-to-reach northeast region of India, inhabited by the Naga people, whose vibrant and traditional tribal culture is utterly unique. This camp’s set-up typically coincides with the region’s Hornbill Festival, an incredible look into the region’s 16 tribes and their colorful rituals and celebrations. 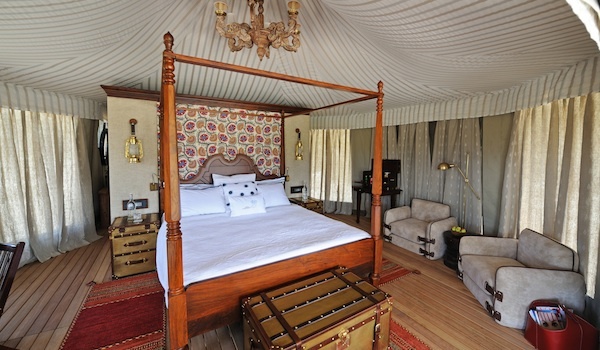 Finally, the Chamba Camp in Diskit invites visitors to discover another corner of wild Ladakh. 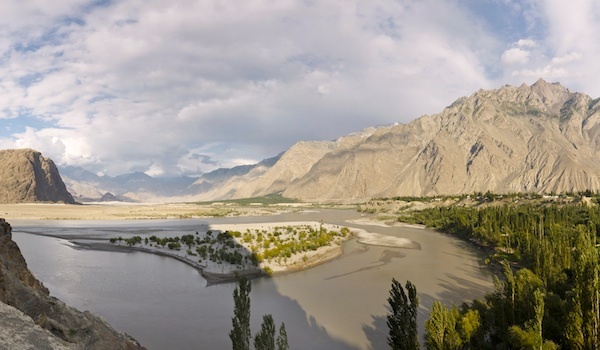 Here in the Nubra Valley, where the Nubra and Shyok Rivers meet, guests will encounter colorful and cosy village life against the backdrop of dramatic mountain peaks. 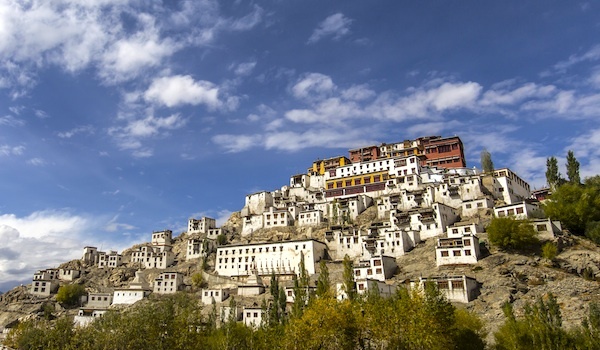 There’s no better way to discover the region than by spending time in nature, and experiences ranging from monastery and cultural tours to cycling trips and rafting outings allow just that. 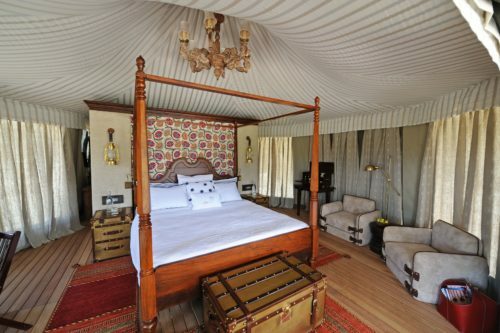 The facilities at the Ultimate Travelling Camp are highly luxurious, ensuring that visitors will be comfortable throughout their stay. 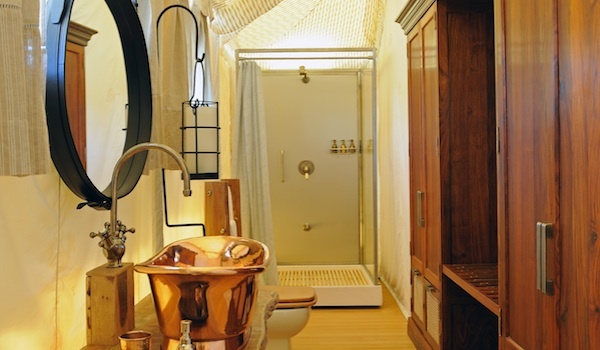 Each ‘tent’ offers en-suite bathrooms, linens, private decks, and even a personal butler service, to ensure that every need is attended to without delay and a refreshing gin and tonic soon finds its way into your hands. Food is authentic and often home-cooked by local chefs, and during the evenings travelers can relax fireside and take in the beautiful scenery. For a truly unique vacation that blends wilderness adventure and incredible sightseeing with indulgent amenities, the Ultimate Travelling Camp is an exciting new presence on the Indian hotel scene.